Well, hello there Blogosphere! It's your friendly neighbourhood short person, and guess what? I'M BACK! 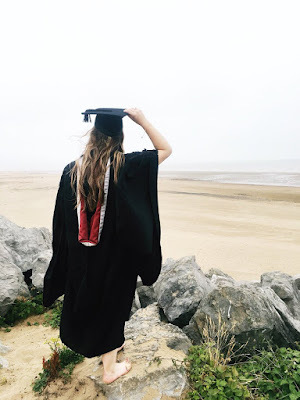 Literally though, I feel like it's been (and it has) forever since I've popped my head out on this blog, but I thought I'd come back today with something... A little different to my usual content. Recently, I've been going on a healthy eating/lifestyle hype, and I've been really happy with the support from you all on my Instagram, and I've also been very happy with my results so far. As a new segment of the blog, I will be posting up healthy recipe ideas (tried and tested by myself), as well as some fitness style posts. So, without further ado... Let's get on with it. This recipe is inspired by my friend and her mum, as when I was over her house a few days ago, we ate some of her mum's chicken and chorizo pasta. 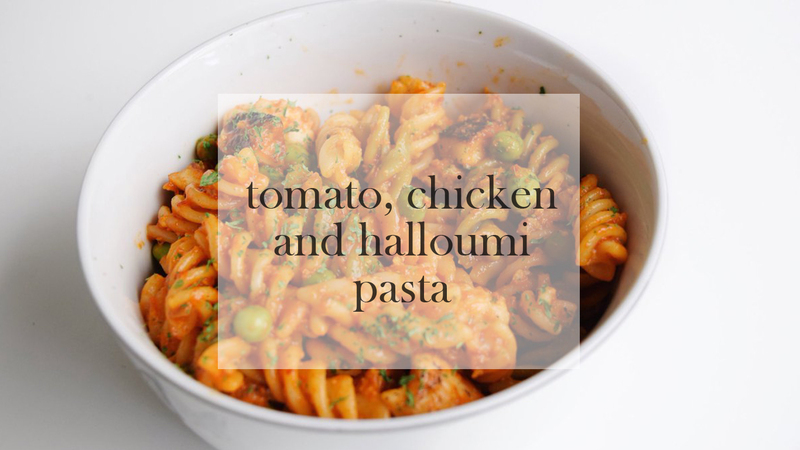 It was so lovely, and I even added some halloumi on top to give it a try, and I loved it. 75g of pasta - I went for tri colour pasta because it just looked pretty and the levels of fat, saturates, sugars and salt are all under 3% in 100g, but for this I used less. 25g of halloumi - I tried to find the exact one my friend used the other evening, but I went for Tesco's basic halloumi. I know cheese isn't that good for you, but I really fancied some halloumi, you can treat this as an optional ingredient if you want to lower the calorie count. 25g of chicken - Lunch meals are supposed to be quick and easy to make, so by using Iceland's ready cooked frozen chicken, it makes the cooking process so much easier. You can do it with fresh chicken, but the cooking process may be a bit quicker depending. 1/2 a jar of tomato based sauce - I used a 'Goodness' pasta sauce from Tesco, as half the jar was only 51 calories, as well as being really low in levels of fat and saturates. 1 frying pan (non-stick!) - Preferably a small one since you'll be cooking your halloumi in here, as well as keeping the chicken warm once it has been defrosted. 1 cooking pot - Again, preferably a small one since you'll be cooking your pasta in here, and then mixing everything together in it once completed. 1 colander - For draining your pasta! 1 ball of falafel (crumbled) - I adore falafel and it can turn a basic meal into something so flavourful for me. I use it in pittas, wraps, salads or even on it's own. In 1 ball of the falafel I used, there was 24 calories. Edamame, broad beans and petis pois (aka green veggies) - Sounds like a weird mix, but you can buy these in a pot from Tesco for about £2 and it lasts me 2-3 meals. They add a refreshing taste to the food it's put with, and I had to stick some veggies into this meal! Garlic granules, paprika and parsley - I love the flavours of these 3 together, especially with pasta because again, it can turn the most basic meal into something really tasty. Parsley is more suited for pasta dishes, in my opinion, but garlic granules and paprika are an easy addition to a good meal. 1. Fill up a kettle and set it to boil. You can also do this with your small pot (fill halfway) and bring to the boil. The kettle method is obviously easier, but if you'd rather do it on the hob/stove, that's perfectly fine. 2. Weigh out your pasta. I used 75g for myself, as whenever I cook pasta I always overestimate and cook way too much. However, 75g did prove to be a little bit too much for me, so lowering it to 65-70 should be fine if you don't each much for lunch like me. 3. Once water has boiled, add your pasta (if using the kettle, pour boiled water into pot to about halfway). Some people say to add a pinch of salt to the water, which I do normally do but this time I did not. Put the heat on medium and let it cook for 10-12 minutes, checking it every so often just in case it softens too much, and giving it a small stir also. 4. Weigh your chicken and halloumi. I wanted to keep the portions small as pasta does fill me up a lot, so 25g of each was perfectly fine. Also, ensure that your chicken/halloumi are cut in small chunks. For chicken (ready cooked then frozen): Pour amount of chicken into weighing scales and once desired amount has been found, put onto a microwavable plate and on the defrost setting, put the microwave on for 2 and a half-3 minutes. For chicken (fresh): Weigh your chicken then cut up into small chunks (cooks quicker than whole breast in one go). Add a small amount of oil into a pan and begin to cook until meat is completely white/starting to go a bit golden. Remove from heat once done. 6. Cook your halloumi. This doesn't take long to cook and also doesn't melt, also if you're worried about your chicken going cold, feel free to pop into the pan with halloumi as it cooks. Put halloumi into a pan (without oil/butter/Fry Light) and cook on a medium heat until colouring of halloumi turns from white to a golden brown. Remove from heat once done. 7. 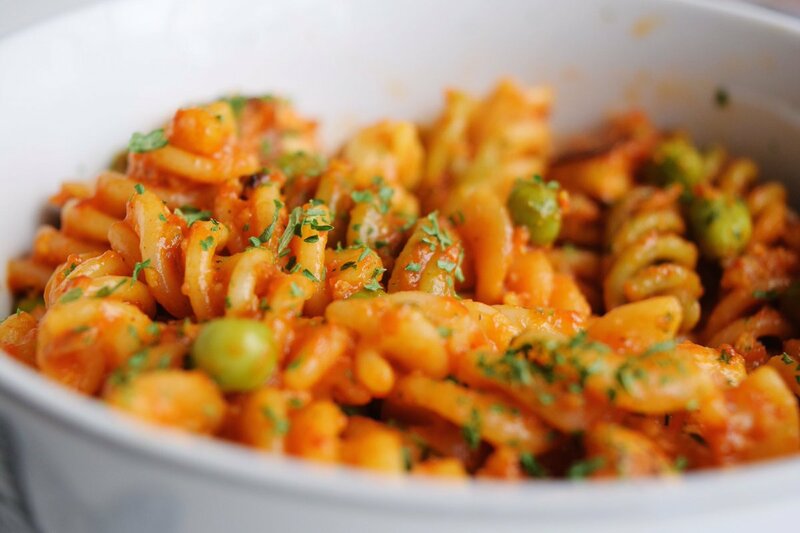 Once pasta has been fully cooked, pour contents of pot into a colander to drain water from the pasta. Once completed, transfer pasta back into pot. 8. Pour 1/2 jar of pasta sauce into pot with pasta. If using a larger jar, use 1/4. Mix into the pasta to evenly coat it with the sauce. 9. Add the chicken, halloumi, falafel (crumbled), green veggies to the pasta and stir to evenly mix in together. Also add your garlic granules and parsley for added flavour. 10. Once mixed, serve and enjoy! I'm so excited to be sharing my recipes with you, and will be sharing more with you all soon! If you do try this meal out, let me know by sharing a photo/message on my Twitter or Instagram, I'd love to see what you guys think! Aw thank-you lovely! I'll be adding more to the segment when I experiment a bit more with ingredients, so glad you like it and I can't wait to see what you think! I absolutely love halloumi, it's up there as one of my favourite cheeses! You're right that cheese isn't that healthy but it's important to have balance and you've nailed that here! ❤️ From your Insta stories, it really seems like you've been working hard at the gym lately, go you! Halloumi is honestly so tasty, I've been flavouring it with a few different things and it's turned out lovely! I've been trying to get those gains, haha! I feel like I'm doing a good job, if you take away the odd packet of prawn cocktail Walkers! this sounds so yummy! I'm the biggest pasta lover everrrrr so definitely going to have to try this recipe out! I haven't eaten pasta in forever, but this is my favourite pasta dish now! I shouldn't have read this post when I felt hungry... now I'm craving pasta! :') It looks so delicious! I've honestly done the same thing, now I'm craving this! I love this girl! I am definitely loving the recipe, I think I might even have to give it ago. I've never had Halloumi, so I'm definitely interested. I absolutely love pasta so it's right up my street! If you do, let me know how it goes. I'd love to see what you think! Halloumi is actually really nice, I've added a bit of sweet chilli sauce to it for a bit of flavour and it tasted pretty good!